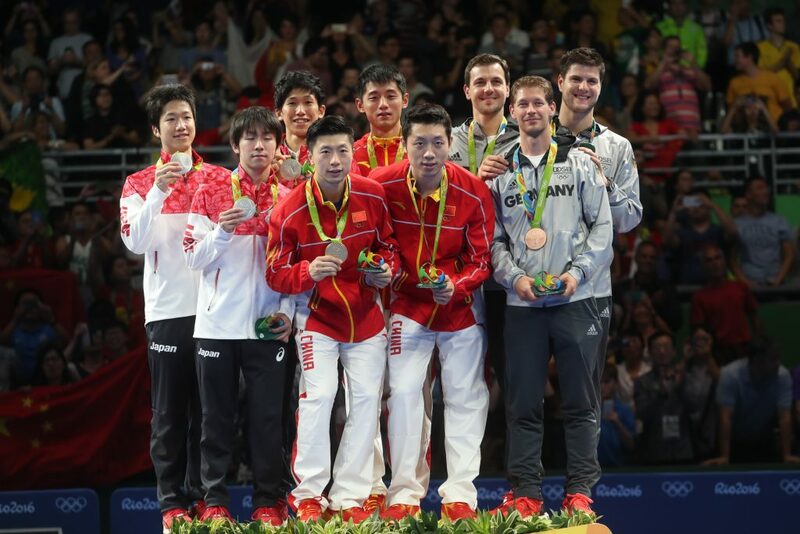 China have won the Men's Team event gold medal for the third Olympic Games in a row, after beating Japan in a tense final at the Riocentro - Pavilion 3. Germany finished as bronze medallists for the second consecutive Games, after a solid 3-1 win over Korea Republic in the bronze medal match. 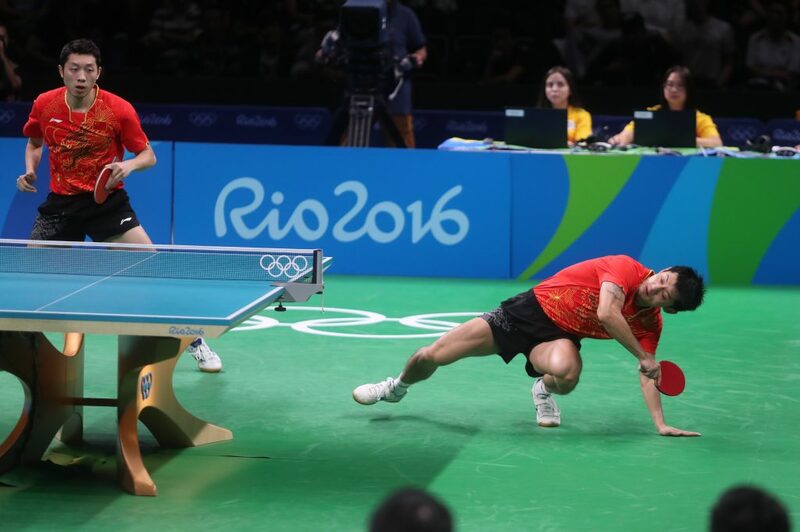 Four Table Tennis competitions at Rio 2016 and China will take home all four gold medals, after adding the Men’s Team title to the Women’s Team, Women’s Singles and Men’s Singles gold medals picked up by Chinese players in Rio de Janeiro. The final began with Ma Long’s tie against Koki Niwa (Japan) featuring a wonderful range of rallies with attack and defence both being called upon, especially from Niwa. But despite his best efforts, Niwa was never really allowed into the match as Ma won in straight ends against his opponent (11-6, 11-9, 11-6). Xu Xin then took to the table looking to tighten China’s grip on the match, however, Japan had other plans as the world number three Xu went up against the player ranked just three places below him, Jun Mizutani. Right from the beginning of the second match, aggressive play became a common trait from both contestants, but Jun Mizutani made the better start and won game one in deuce (10-12). Then to the amazement of everyone watching, Mizutani doubled his lead by taking the second end (9-11) to put his rival from China under huge pressure in the best of five encounter. Chinese men’s coach Liu Guoliang then gave his player some advice in between games two and three, and whatever he told Xu Xin, it went down a treat as the third end went China’s way (11-3). Xu had also been helped in game three by Mizutani’s sudden shift in approach, with the Japanese player deciding to move away from the table, allowing Xu to find his attacking game at a more consistent rate. Mizutani did start playing closer to the table in the following end, but by then Xu had found some form and the match moved into a decider. “I had lost against him so many times. History was not on my side. 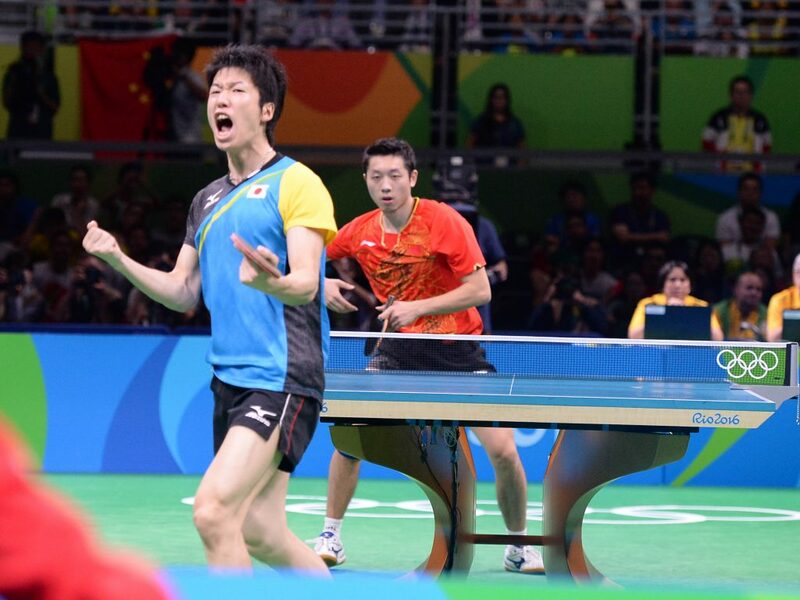 I am glad I could finally beat him on the world’s biggest stage.” – Jun Mizutani (Japan). Xu Xin was edging ever closer to completing a great comeback having been 0-2 down, but from 10-7 behind Jun Mizutani recovered to stun the Chinese supporters with an incredible 2-3 victory (10-12). With the tie sitting all square at one match each, the doubles encounter between Chinese pair Zhang Jike and Xu Xin and their challengers Maharu Yoshimura and Koki Niwa became crucial to the outcome of the final. If Zhang and Xu were to take it then Ma Long would be perfectly poised to seal the match for China in the next singles tie. However, if the Japanese duo caused an upset then Jun Mizutani would be in with a chance of playing his second singles match of the evening. Yoshimura and Niwa made a blistering start to the doubles and went 0-1 ahead with a 4-11 win in the opener, but the match was soon level as the Chinese combination of Zhang and Xu managed to win game two (11-6). Both doubles teams were neck-and-neck at the half way stage of the third game, but China began to pull away and took the lead with a close win (11-9). Japan required a good response in the fourth end, but trailed 3-0 in the game leading to Japanese men’s coach Yosuke Kurashima’s call for a time out; it appeared to have worked well as Yoshimura and Niwa won four consecutive points. 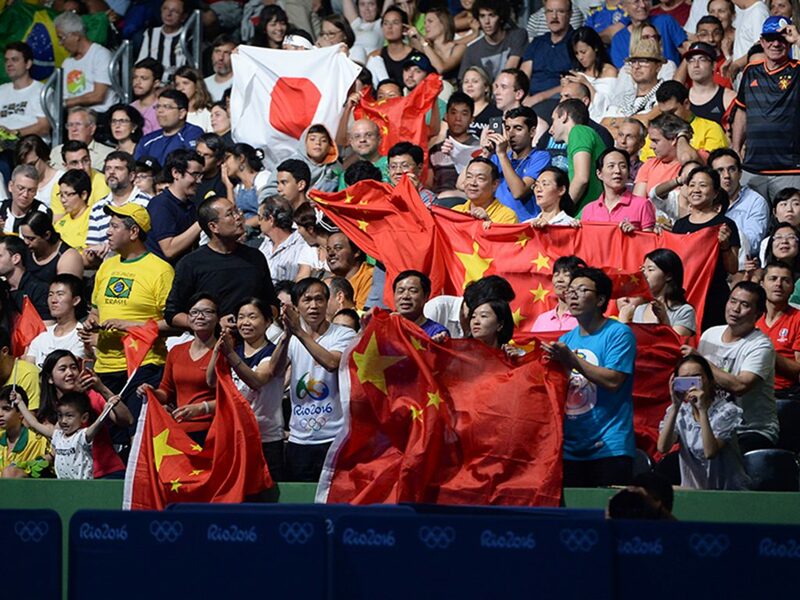 China felt the need for a break of their own as Japan had narrowed the gap to 6-5, and they didn’t lose another point as Zhang Jike and Xu Xin raced to an 11-5 triumph leaving Japan with everything to do. 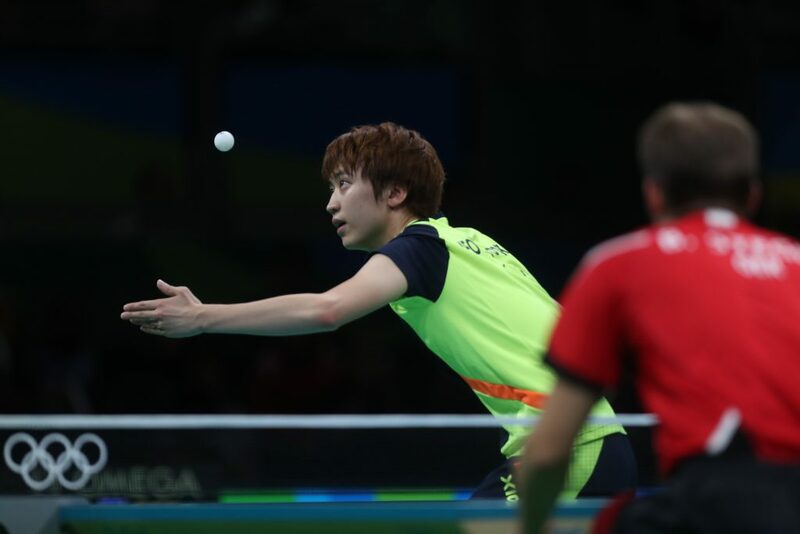 Now the task for Japan had become even more difficult as Maharu Yoshimura (21st) faced the daunting prospect of a match with the world’s top ranked Table Tennis player Ma Long. Yoshimura had to win to keep Japan in with a chance, but Ma was performing at a different level and was always in command of the match. The difference in quality shone through from game one as Ma Long only surrendered one point to Yoshimura (11-1) and the following two ends (11-4, 11-4) just furthered the demonstration of his talent, as the World and Olympic champion (Ma) broke Japanese hearts with a 3-0 win over Yoshimura to bring the 2016 Olympic Games Table Tennis competition to a close. “This golden medal is not only achieved by these three players on the court, it is also due to all the supporters from China and the whole Chinese table tennis team, so we feel very proud. ” – Ma Long (China). The day’s early match saw Germany win another bronze medal in the Men’s Team event, with a 3-1 win against Korea Republic. Germany had won the bronze medal at the 2012 Olympic Games in London while Korea were the silver medallists from four years ago, making for a thrilling prospect. Bastian Steger (Germany) and Jeoung Youngsik (Korea Republic) got the Rio 2016 bronze medal match off to a fantastic start, as both players attempted to give their respective countries the early initiative. Korea’s Jeoung had entered the match as the higher ranked player (12th) but Steger (24th) was playing some of the finest Table Tennis of his career and managed to force the match to the fifth and final end. The German competitor then held three match points in game five, but Jeoung fought back to give Korea Republic a 0-1 lead (10-12, 11-6, 6-11, 11-6, 11-13). With Germany trailing, Dimitrij Ovtcharov-arguably their strongest player-was called into action. He was to face Joo Saehyuk (Korea Republic) with the aim of levelling the tie at 1-1. Ovtcharov began the match well and moved 2-0 in front (11-5, 11-9), however, Joo then made a terrific response by taking games three and four (8-11, 2-11), but Ovtcharov found another level in his play, claiming the fifth end (11-6) to restore symmetry to the scoreboard once again. Then came the doubles, a match that German fans were dreading after their team had lost all three of their previous doubles encounters at Rio 2016. Making matters worse, Timo Boll (Germany) had to leave the court for a moment to receive pain-killing injections for a dislocated bone in his neck after a bad fall. However, despite their misfortunes the German combination of Boll and Steger put in a first class performance to give Germany the lead (9-11, 11-6, 11-7, 9-11, 11-9) for the first time in the tie. 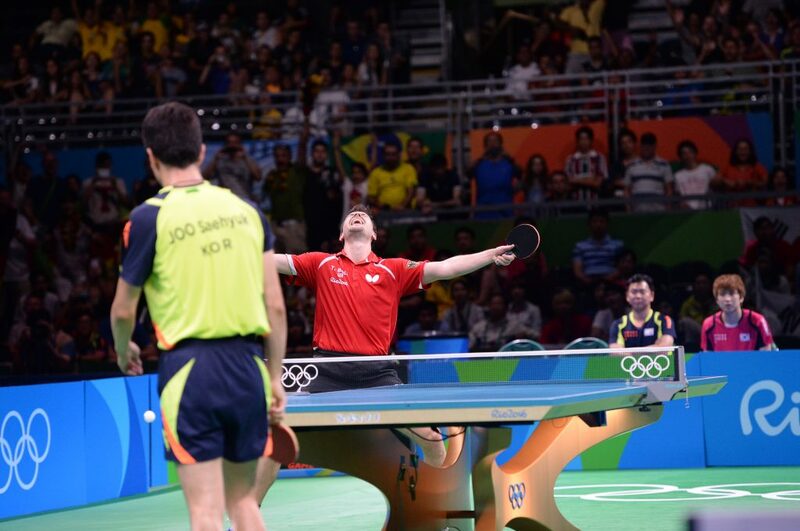 Timo Boll returned to the table again for the following singles match, and although he was playing through his injury, the German Olympic flag bearer won in straight games over Korea’s Joo (11-8, 11-9, 11-6) to give Germany the bronze medal. “No one expected we can do it. 3 medals in a row, we did it for Germany.” – Dimitrij Ovtcharov (Germany). Rio 2016 Table Tennis Schedule and Results.